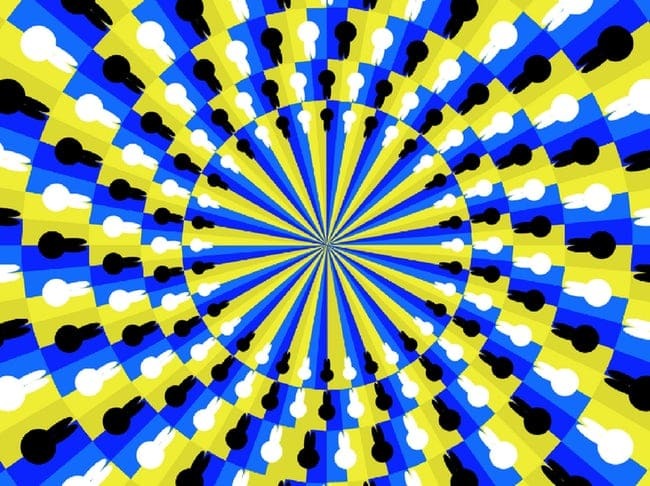 Optical Illusion #5. Spiraling into a rabbit hole is a difficult maze for sure! Is this spiralling left to right – or right to left? 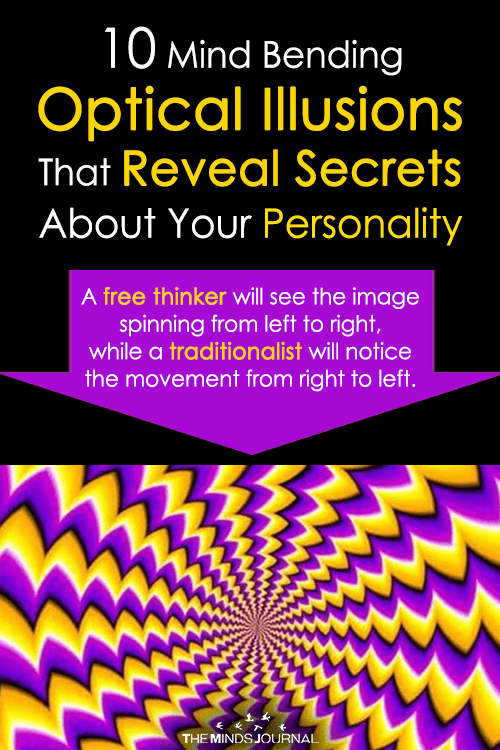 If you see the spiral spanning from left to right, you are a realist. If you see the spiral from left to right, then you probably fret a lot about the smallest of things. Optical Illusion #6. Hiss! Hiss! Do you see a snake here? Snakes have been symbolic parts of mythology and psychology. Dreams about snakes are symbolical for your mind. 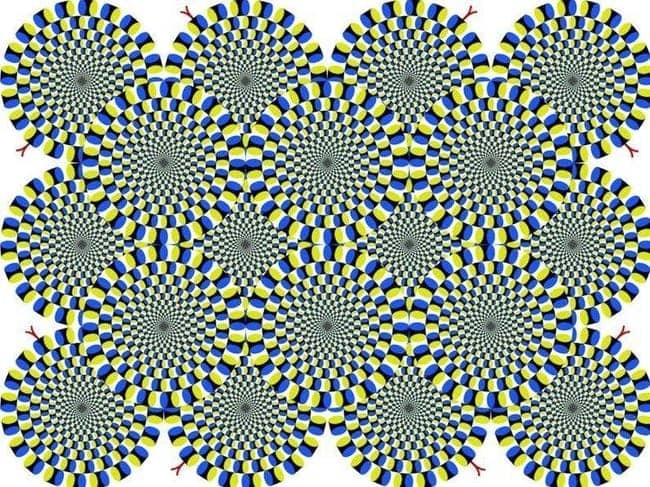 In optical illusion as well, if you see snakes it says a lot about your mind space and personality. 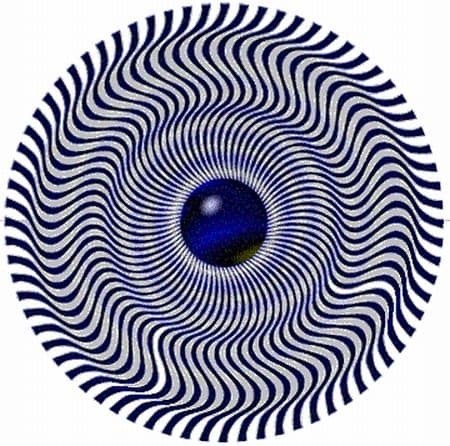 If you particularly see serpentine movement in the image, then you have suspicious minds and you do not trust easily. Optical Illusion #7. Make the sweetest of rhymes in time! 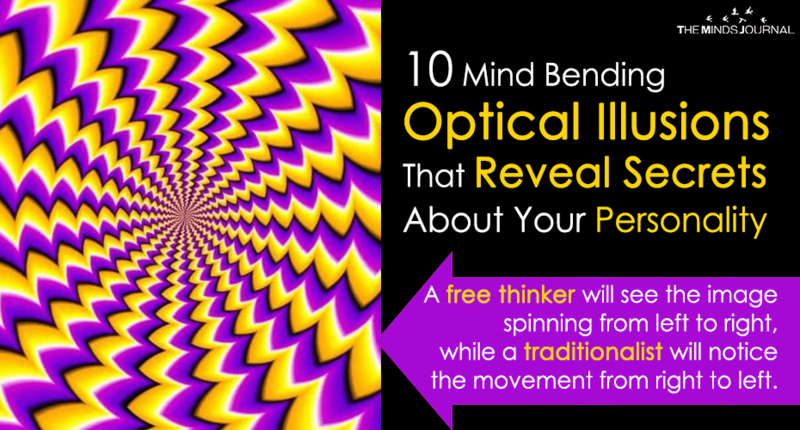 Did you see a movement in the middle of the cartwheel? Punctuality is a trait that will help you excel in life. If you see movement in the middle of the cartwheel, then you are not a punctual person at all dear! Value time. Organise your day and routine in a timely manner. Optical Illusion #8. How adventurous are you? 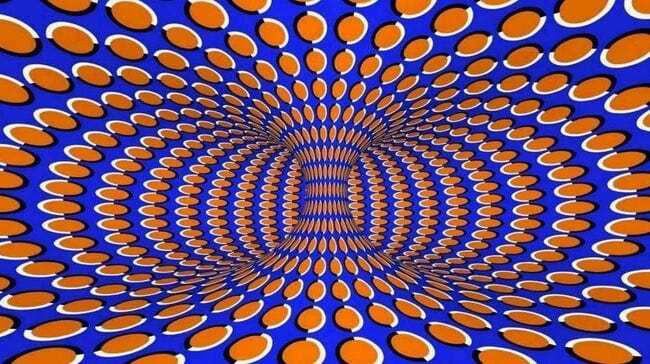 Do you feel the circular motion from left to right or from right to left? Are you an adventurous person who likes to trek hills and walk miles? Or are you a couch potato? If you do not know it yet, well this test will tell you which of it you are. 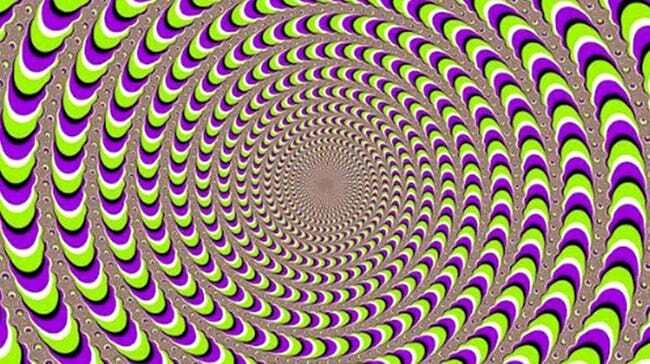 If your eyeballs feel the circular motion is from left to right, then you are an adventurous soul. Optical Illusion #9. The universe is in your hand! Is this image moving towards you or away from you? You are full of positivity and see the good in everything if you see the picture moving towards you. You grab the opportunities at the appropriate times. 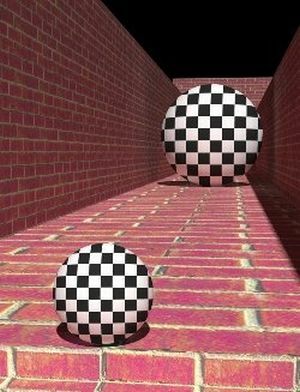 Which ball is bigger – the ball in front, or the one behind? You are a born leader and you have an eye for detailing. If you see the ball at the behind bigger. However, if you see the ball at the front bigger, then you are a behind the scenes person. Meaning you are good at giving advice to people and you like to stay away from the limelight. The above images tells you a lot about your personality traits and behaviors. Use this form of science to better your life!